Five airmen were killed in two separate crashes over three months. In both incidents, the pilots lost their spatial orientation in bad weather. 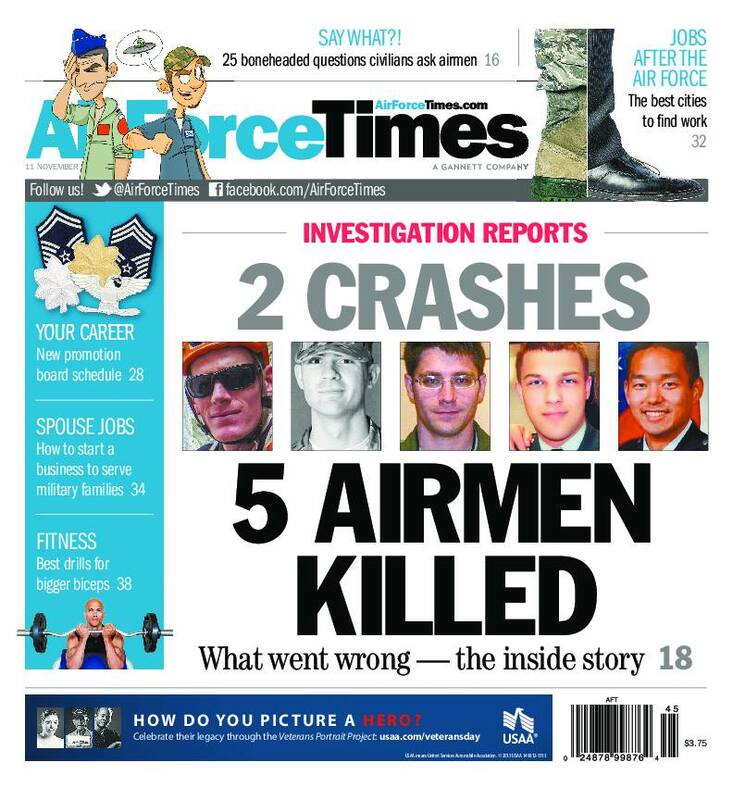 This week’s Air Force Times looks at exactly what went wrong in the desperate last few minutes of both flights. Also this week, Air Force Times examines the 328-page report from the command-directed investigation stemming from Tech. Sgt. Jennifer Smith’s complaint about enduring years of sexual harassment. Ultimately, allegations were substantiated against two colonels, five lieutenant colonels and a captain. In other news, the gap in promotion rates between unmanned aircraft pilots and their counterparts in manned aircraft has narrowed. You can read what the Air Force is doing to equalize the promotion rates and what the ultimate solution is. Looking ahead, the Air Force has released its promotion board schedule for 2014, so you can see when you will go before the board. Meanwhile, Air Force Times has a compiled the dumbest things civilians say to airmen. Have fun reading through the comments and accompanying cartoons.